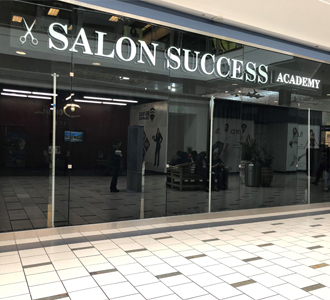 Responding to the increased demand for high quality cosmetology training, Salon Success Academy is proud to announce the grand opening of our newest campus: West Covina. Located at the lower level of the Plaza West Covina, the school is now accepting students for our February 19th enrollment. The remodeled facility is conveniently accessible off I-10 and Vincent Avenue. It will offer cosmetology and students will also have the benefit of a full-service in-house salon with paying patrons, so they can develop their skills in a real-world setting. The Cosmetology Program combines classroom instruction and demonstrations with lots of hands-on training. As the largest Sassoon Academy School Connection in the world, Salon Success is also able to train students in the proprietary cut, color, and style methods of the iconic brand. Students receive a full cosmetology kit that includes the Sassoon ABC manual and DVD and are taught by instructors who have undergone intensive Sassoon training. Jeff said he is especially pleased with the excellent faculty of the West Covina site. In addition to training students in advanced cosmetology and superior client service, the program provides students with one-on-one assistance from our expert faculty. Instructors pay special attention to skills development and preparation for the California State Boards. If you’re interested in a career where you can turn your passion for hair and style into an actual career, contact us today. Enroll at our new campus in West Covina or choose the location nearest to you.